Panorama of the town of Mogok, showing the central lake, created when mines under the town flooded in 1929. Our remarkable trip, organized by the Gem & Jewelry Institute of Thailand (GIT), started in Mandalay, about seven hours by road from Mogok. Welcome arch at the entrance to the bustling town of Mogok. Large blackened and jagged marble karsts rise up from the jungle floor. In the background are tailings from several small mines. A house with an interesting woven thatched pattern and tin roof located near one of the peridot mines. A few faceted rubies from Mogok. Rubies from Mogok in Myanmar (Burma) have been prized throughout history. The unheated gems in the coveted Pigeon-Blood Red color range are among the most expensive in the world, as are the celebrated Royal Blue sapphires from this area. To seek out these and other precious gems and learn more about this area, a group of 18 gemologists, gem traders and other lovers of adventure set out on an unforgettable trip through lush scenic jungles over narrow and winding mountainous roads -- often rising up dramatically on one side only to fall off precipitously on the other -- to reach the mythical mining area of Mogok and the welcoming people who live there. Some in our group pose for a photo at the checkpoint into the Mogok region, which requires permission for foreigners to enter. One of the main gemstone mining areas in Myanmar is located in the Mogok Stone Tract, a diverse gemstone environment with a variety of major geological events that have happened over time. This complex geology consists mainly of metamorphic schist, gneiss and marble (ruby and spinel-bearing) along with igneous intrusions (granite, pegmatite, syenite, leucogranite) and skarn. Ruby, pink sapphire and spinel are mainly associated with crystalline white marble, while blue and other colors of sapphire are found in leucogranite and syenite. Peridot is found in metamorphosed mafic igneous rock. This very scenic jungle region (elevation 1170 meters) is also an important source of spinel, zircon, topaz, garnet, as well as some very rare gemstones and minerals. An estimated 1000 to 1200 gemstone mines operate in the Mogok Stone Tract. These include artisanal miners, cooperatives, semi-mechanized operations and large-scale companies utilizing modern exploration and excavation techniques. Methods range from open pits in secondary alluvial marble gravel (locally called byon) to tunneling in primary host rock. Today, Mogok gemstone deposits are declining, especially the alluvial deposits. This is leading towards more mechanization and drilling in the primary marble host rock. One long-standing component of mining in Mogok is the custom of kanasé ma. After the sorting operations, some gems escape detection and end up in the tailings. Local custom dictates that tailings may be searched by anyone, who may then keep the gems they find. Most of these kanasé ma “miners” are women, who break up the waste rock to find gems, thus providing a source of small stones for local markets. Foreigners have only been allowed to visit Mogok since 2013, with the easing of political tensions, although they require special permission to do so. A very recent ruling, however, dictates that no foreigners may enter into the mines without a second authorization. Our group was the first to receive this second permission that would allow us to step foot inside the mines under the new law. Buddhism and gemstones are major parts of life in Mogok. Pagodas of every size are scattered around the area, and gemstones are often given as offerings to the temples and monasteries. This is the mountaintop Daw Nan Kyi temple, which houses remarkable gems and is steeped in folklore surrounding Mogok's legendary stones. Buddhism and gemstones are major parts of life in Mogok. Pagodas of every size are scattered around the area, and gemstones are often given as offerings to the temples and monasteries. One extraordinary example of the link between gems and religion can be found in the beautiful Phaung Daw Oo Pagoda. ​ It features an impressive white marble Buddha and two sacred gilded Buddhas, surrounded by intricate patterns of mirrored walls and columns. It also houses two incredible gold and silver plinths, encrusted with thousands of gemstones of all types and qualities. The grandiose of these objects when seen in person is indescribable. Once a year, the two gilded statues are placed on these remarkable gem-covered bases for public viewing. We were able to see them during our journey to Mogok thanks to two of our hosts, Tun Shwe, a long-time Mogok gem dealer and one of the people responsible for creating and protecting the plinths, and his son Aung Naing Tun, Chairman of Mogok Gems & Jewellery Entrepreneurs Association. We also visited the large Chanthargyi Pagoda on the other side of the lake. Along with beautiful statues and elaborate mirrored walls, the pagoda houses a very elaborate collection of precious gemstones and art objects of all sorts, all donated. The Phaung Daw Oo Pagoda. At the rear are a remarkable white marble Buddha and two smaller gilded Buddhas. The fabulous gem-encrusted gold and silver plinths in Mogok's exquisite Phaung Daw Oo Pagoda are on view only once per year. The high security cases were opened exceptionally for us, however, thanks to Tun Shwe (left) and his son, Aung Naing Tun. At Mogok's Cinema Market, most sellers are women. Note the traditional hat and "thanaka" on their faces, made from ground bark, both offering protection from the sun. The stones were generally shown on traditional bronze plates. Sellers crowd around a member of our group, vying for attention for their stones at the afternoon Blue Umbrella Market. Prices were generally high, although some members got good deals. Faceted rubies, spinels and sapphires. Trading gems in Mogok has two basic formats. In the morning, several local markets take place around the city, usually along roadsides or on designated streets. Buyers walk around and view gems displayed on small tables or even on the ground. Most sellers are women, who come with the traditional bronze plates and other trays full of rough and polished gemstones, fossils, old coins and other objects. We visited the Cinema Market in the morning. Comments from the dealers in our group indicated that prices were high and a small number of fakes were seen, complete with certificates. Yet, some members were able to purchase a few quality pieces as samples. The market was definitely worth the visit. The second type of gem market is held in the afternoon. It is set up with dozens of tables sheltered by umbrellas. Here, buyers don't walk around, but instead sit at a table and the sellers come to them. We spent an afternoon at the Blue Umbrella Market in central Mogok, one of the city's largest. As soon as one of us sat down, he or she was engulfed with sellers eagerly showing their stones. Quite an experience. As an observer rather than a buyer, I circulated to the various tables to see how our group was doing. It seemed that most of the stones were too expensive or of lower quality, and our buyers politely told it like it was. Not that the sellers didn't already know. Many of them were Nepalese who proposed not only spinels, rubies, sapphires, peridots and more but also stones not common to Myanmar. Yet, many in our group did find some good stones at reasonable prices. Beautiful red spinel in its marble matrix. Panorama of the open-pit operation of the Baw Mar sapphire mine. Heavy equipment is used to dig away the mountain for the gem material, which is pumped to the washing station where it is washed and then sent to two large jigs (center) where the gems are separated out. The largest sapphire mine in Mogok, and the largest primary mine, is Baw Mar, located in West Mogok, near the town of Kyat Pyin. Started in 1993, it combines both open pit mining and tunnels. For the last nine to ten years, it has produced some exceptional gems, even up to 10 to 15 carats. The largest stone to come out of Baw Mar was 2000 carats, but it was so dark that it was broken apart to find the lighter colors. ​ During the rainy season, the mine employs some 80 people while in the dry season, more than 180 miners are at work. It has its own sorting and cutting facilities. The owner of Baw Mar, Ye Minn Htoon, called Ko Choo, owns a ruby mine nearby. 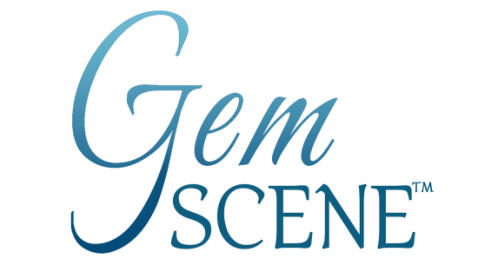 He also manages gem auctions, which are held every three months for two days to allow buyers examine the gems and submit written bids. Baw Mar mine owner, Ye Minn Htoon, shows some recent finds at the sapphire mine. Water is injected into the mud which is then pumped to the washing station before finally going to the jigs. The Baw Mar mine operation has its own sorting and cutting facilities. Young women separate the material into gem types and qualities. Peridot is mined in the Shan Hills around Bernardmyo, some 15 kilometers northwest of Mogok. Named after Sir Charles Bernard, British Commissioner of Upper Burma, the town is at an altitude of nearly 2000 meters and was established as a military sanitarium and station, following the Third Burma War, circa 1887. The British abandoned it around 1900 because of its inaccessibility. We visited the nearby British cemetery, with grave stones dating back to the late 19th century. The cemetery is in a state of serious disrepair, overgrown by vegetation and damaged by soil erosion from the neighboring mining operations. A few kilometers from Bernardmyo is the Nanda Aung peridot mine. The gem material is brought out of the mine through narrow tunnels, and is then transported elsewhere for washing and sorting. On the way to a peridot mine, we visit a 140-year-old British military cemetery near the village of Bernardmyo, ten miles northwest of Mogok. A sample of peridot in its host rock. One of the tunnels in the Nanda Aung peridot mine. Yannis Alexandris climbs up a ladder in one of the tunnels in the Nanda Aung peridot mine. Entrance to the Yadana Shin ruby mine, the largest in Mogok. The white gravel on the ground is crushed marble, the host rock for the rubies. Miners at the entrance to one of the 300-meter mineshafts at the Yadana Shin mine. The only way down is by climbing a wooden ladder. The rubber pail containing the gem material is hoisted to the surface by a pulley. The gem material from the Yadana Shin mine is washed. We visited two ruby mines in Mogok. The first was the privately owned Yadana Shin mine, the largest ruby mine in Mogok. With eight shafts, it employs ten people per shaft, with three shifts a day. The holes are around 300 meters deep, and the only way to get to the bottom is to climb. It takes a miner about an hour to make the descent and ascent on vertical wooden ladders. The gem material is brought to the surface in rubber pails, via pulleys. It is then crushed, washed and sorted. The employees are paid in two ways, either by salary or by receiving a percentage of the sales of rubies or by a combination of both. The second mine was the Ruby Dragon, a joint venture with the government's Ministry of Mines. Highly mechanized, the mine has a complex tunnel system into the mountain, at varying depths, but rubies are found at around 90 meters. The miners reach the tunnels in elevators, which are also used to transport the gem material to the surface. It is then transferred to carts that dump it into waiting trucks. The material is washed and sorted at a different facility. Workers sort through the gravel, looking for rubies at the Yadana Shin mine. Rubies in their white marble host material. The highly mechanized Ruby Dragon mine is part of a large group of companies involved in various activities in Myanmar. The mine is a joint venture with the government. One of the elevators taking miners down to the tunnels at the Ruby Dragon ruby mine and bringing gem material up. The complex tunnel system in the Ruby Dragon mine. Most rubies are found at about 90 meters depth. One of the shafts at the Ruby Dragon mine. At the Ruby Dragon mine, carts on rails transport the gem material from the elevators to trucks. It is then taken elsewhere for washing and sorting. While the famous poem by Kipling describes the nostalgia of a British soldier for the adventure and exoticism of Asia, we had our own little added adventure in Asia when the group embarked on the Road to Mandalay to catch our flight to Bangkok after our wonderful visit to Mogok. Leaving the hotel at the crack of dawn to avoid the narrow twisting roads at night, we came upon a line of stopped cars at around 6 am. Three hours earlier, a large brick-laden truck on its way up the mountain to Mogok had tried to navigate a curve in the dark, but got stuck in the mud. On top of being stuck, the truck was leaning rather dangerously into the mountainside. The driver and crew had been trying unsuccessfully for three hours to get it free. Because the road was partially washed out on the other side, making it too narrow for another car to pass, dozens of cars were blocked on both sides. The guys in our group offered to help unload the bricks to lighten the load, but the driver refused, instead continuing to jack up the dangerously tilting truck with stones and boards. By 9 am, our worry was dramatically growing about missing our flight, the only one to Bangkok for the day. In desperation, many people got out of their waiting cars and began throwing large rocks from the nearby pile into the washed out area, hoping to build sufficient height to pass around the truck. After 30-40 minutes, the pile was almost high enough to drive over, although still more than a bit scary since the drop-off on the other side was steep. Then, suddenly, the driver announced that the truck was free. After seven hours of blocking traffic, it continued up the mountain. Now, however, we were really late, but the rules of the road indicated that we had to continue to wait because all of the cars coming up had priority. With some fifty cars waiting, our Burmese guides jumped into action and asked a few cars to kindly let us pass. They also contacted Bangkok Air to tell them of our situation. The airline said that if we could arrive at least by take-off time, they would hold the flight. In the end, we made it. ​Mary Ng, Saengthip Saengbuangamlam, Ioannis Alexandris, Tasnara Sripoonjan, and Cynthia Unninayar.